SAN FRANCISCO–(BUSINESS WIRE)–Jenkins World 2017 — Checkmarx, a global leader in application security testing solutions, today announced the release of its Interactive Application Security Testing solution, CxIAST. The platform enables dynamic and continuous application security testing in real time with zero scan time, outstanding accuracy and seamless implementation. Rapid software delivery has become one of the top criteria for any successful business. 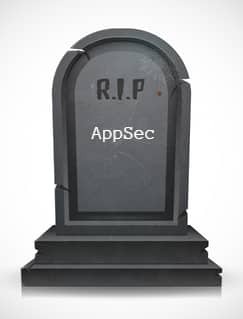 However, when organizations want to add application security into the mix, they often perceive that it will slow down application delivery time. With strict compliance measures and a constant increase of web application attacks, the luxury of trading off security for speed is no longer an option. The Checkmarx Application Security Testing platform now includes Codebashing (Secure Coding Education), CxSAST (Static Application Security Testing), CxOSA (Open Source Analysis), and CxIAST, which complement each other and allow Checkmarx customers to implement a holistic application security testing approach and ensure reduced application risk without impacting software delivery schedules. CxIAST is an important pillar in Checkmarx’s Application Security Testing platform, which provides solutions for every stage of the Software Development Lifecycle (SDLC). Unlike other Dynamic Application Security Testing solutions (DAST), CxIAST has zero impact on the deployment pipeline, making it a perfect fit for DevOps environments, Continuous Integration and Continuous Delivery (CI/CD) processes. CxIAST monitors the application by leveraging existing functional tests, and doesn’t need to actively induce the application in order to detect vulnerabilities. This approach eliminates delays, making it a perfect fit for fast-paced development environments. Checkmarx CxIAST will be demoed at Jenkins World 2017 at booth #103. To learn more about CxIAST, click here. Checkmarx is an Application Security software company, whose mission is to help development organizations deliver secure applications faster. Amongst the company’s 1,000 customers are five of the world’s top 10 software vendors, four of the top American banks, and many Fortune 500 and government organizations, including SAP, Samsung, and Salesforce.com.